For professional plumbing and septic services for your home or business, call us today! If you need plumbing services for your home or business, please contact our plumbers today! We are able to repair and install septic tanks, as well as offer septic pumping and cleaning. Our plumbing technicians can repair, replace, and install a wide range of water heaters. Want better smelling and tasting water that is also clean? We can offer quality water filtration services. For a Professional Plumber in Mills River, Hendersonville, and Asheville, NC, Call Us Today! Are you needing plumbing services for your home? Do you require septic services for your business? At All About Plumbing & Septic we want to be the local plumbers you go to for plumbing and septic services in the Mills River, Hendersonville, and Asheville areas. We have been in this business since 2011 and have what it takes to offer quality septic and plumbing services, as well as services for your water heater, water filtration, and well water. These are some of the most important things we can have in our homes or businesses, so when you need the assistance of a professional plumber, we are the people to call. There are several reasons why you should choose us for your plumbing and septic services. 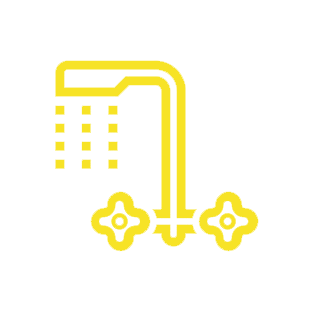 We offer free estimates and are upfront about our prices. All of our plumbers and technicians are fully licensed and insured. We provide a variety of plumbing, septic, and other services for your home or business. 100% satisfaction guaranteed for our clients. Are able to work on remodeling jobs. Professionals you can go to for all of your septic system needs. Local plumbing contractors working for a family-owned company. All About Plumbing & Septic Offers High-Quality Services That You Can’t Beat! If there is ever a situation where your plumbing, septic system, water heater, water filtration, or well water system isn’t working as it should, you can rely on us. Issues can happen any time of day, so if a pipe bursts in your home on the weekend or your septic tank caused a sewage backup in your business, we can offer 24-hour emergency services. To get in touch with a 24-hour plumber in Mills River, Hendersonville, and Asheville, NC, please call 828-778-2425 for plumbing or 828-778-2423 for septic. 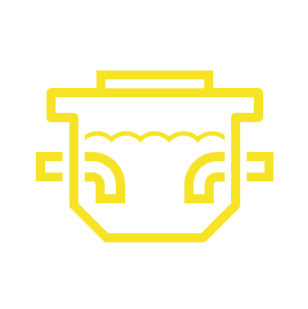 We are ready to work with you and provide you with the best services for your home or business. 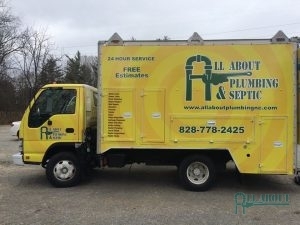 All About Plumbing & Septic is a proud family business with a passion and commitment to providing the best and most professional plumbing and septic service repairs in the industry. 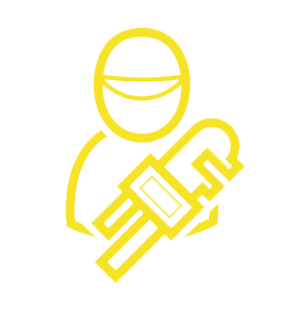 Our goal is to be honest, friendly, and courteous to all of our customers with the utmost respect to their homes and property while providing the highest quality services. We are here to improve and better our community through our services and interactions. Need Plumbing Repair? Call Us! As homeowners and business owners, you probably use plumbing systems a lot more than you know. We use them to turn on the sink, to dispose of old food, take a shower, and so much more. Because there are many plumbing systems in our homes and businesses, it is so important that they are in the best condition. However, like many things in our property, plumbing systems, devices, and pipes will need repairs every once in a while. This can be due to general wear and tear, the age of plumbing, as well as lack of maintenance. If you’ve noticed leaks, have low water pressure, or don’t have access to water, it’s time to call us for plumber repair service. Our plumbers are able to offer a wide range of plumbing repair services that can fix any issue that you might be having. We can inspect your plumbing and determine if the repair service will be minor or major. To get in touch with a plumber in Mills River, Hendersonville, and Asheville, NC for repairs, please call us at 828-778-2425. Faucet Repair If your faucet is leaking or is hard to turn on, please call us for faucet repair service. Garbage Disposal Repair Is your garbage disposal not turning on or smells really bad? We can help with our plumbing repair service. Gas Line Repair If you smell the presence of gas in your home or business, have the gas turned off then call for gas line repair. Pipe Leak Repair Homes and businesses that have a pipe leak can rely on us for professional repair service. Sewer Line Repair Do you need sewer line repair for your home or business? Please call us today! Slab Leak Repair For properties that might have a slab leak, contact us and we can provide you with slab leak repair. Trenchless Sewer Repair Trenchless sewer repair is an easy and non-invasive way to repair your sewer. We Are the Ones To Call for Plumbing Installation, Replacement, and Maintenance. At All About Plumbing & Septic not only can we offer high-quality plumbing repair for homes and businesses, but we can also offer plumbing installation service. If you are remodeling an area of your home and you need to add more plumbing or you are adding a new section to your building that requires plumbing, we are more than happy to help you! While remodeling and renovation are a few reasons why residential and property owners need plumbing installations, they might also be interested in installing new plumbing appliances and fixtures to upgrade the look of a room or to get more energy-efficient systems. We are able to install both residential and commercial plumbing systems. Whatever the reason for needing plumbing installations, we are more than happy to help you. You can set up an appointment any time by calling our office for certified plumbing. One of the best ways to ensure that your plumbing is in the best condition is by getting plumbing maintenance. The reason that maintenance is something you should schedule once or twice a year is that it extends the life of a plumbing system, it saves money, and it can actually improve your indoor air quality. When maintenance is put off, it can cause a lot of issues for your plumbing. Lack of maintenance can cause damages including water leaks and rust. If plumbing maintenance hasn’t been done in a long time, it can lead to issues that require plumbing repairs. Sometimes if the issue is put off for too long, repairs aren’t able to fix the issue; when the problem is too severe, you might need a plumbing replacement service. Whether you need repairs or a replacement, we are able to help you, but if you need a plumber in Mills River, Hendersonville, and Asheville, NC to avoid these types of issues, call us at 828-778-2425 for plumbing maintenance. We Offer a Wide Range of Services for Septic Systems. Septic systems are one of the most important systems when you aren’t connected to the city’s main sewer line. The job of the septic system is to remove solid waste from wastewater so that there is no issue with sewage backups. Because of their job, it is so important that they get the services that they need. At All About Plumbing & Septic we are able to offer septic tank repair, installation, and maintenance, as well as lift station pump service and drain cleaning service. With the use of video cameras, we are able to see what is wrong with your septic tank and make the accurate repair that it needs. Part of our maintenance for septic systems is pumping and cleaning services. In order to avoid leaks or sewage backs up, you need your septic system pumped and cleaned. 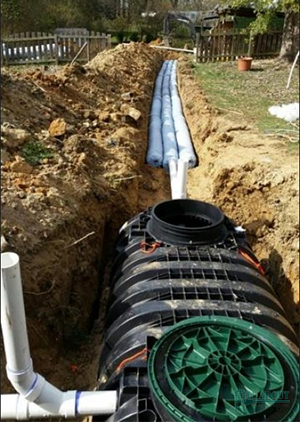 If you think you are needing any of our services for septic tanks, please call a plumber in Mills River, Hendersonville, and Asheville, NC at 828-778-2423 to make an appointment. When we hear about septic cleaning, we tend to think its the same as septic pumping. The difference between the two is septic pumping removes sludge, solids, and liquid and septic cleaning removes all of the water and sludge from the bottom of the septic tank. While pumping your septic tank out does remove everything, cleaning makes sure that sludge and other waste isn’t stuck to the septic tank, which can cause a buildup of sludge. Too much sludge creates issues because it can clog the septic tank and develop sewage backup in your home or business. Septic cleaning can also be done every three or five years, but our plumbers can determine if septic pumping or cleaning is needed when they inspect your septic tank. Call a plumber in Mills River, Hendersonville, and Asheville, NC at 828-778-2423 for septic cleaning today. Every single day we use our water heaters to have access to hot water. We need hot water to bathe, clean, and wash dishes, so if there are issues with your water heater, you can call a plumber in Mills River, Hendersonville, and Asheville, NC for water heater repair. A lot of times, homeowners and business owners don’t even know that they need repairs, but there are ways to tell if you need repairs for your water heater. Rumbling, cracking, and banging noises coming from the water heater. The water heater tank is rusting. From Water Heater Repair To Installation, We Are the Experts in Water Heater Service. If you have noticed any of these things, please call our plumbers for water heater repair. If repairs are put off, they will eventually lead to complete water heater replacements, so dial 828-778-2425 to make an appointment today. We are able to repair, electric and gas, as well as tank and tankless water heaters. 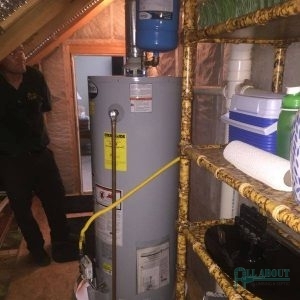 A lot of times, homeowners and business owners will choose to upgrade to a new water heater system because they don’t want to have to have a water heater that fails on them. Other reasons that property owners choose to invest in new water heaters is that they want a more energy-efficient water heater. Older water heaters aren’t as energy-efficient, so they use a lot more energy than they need to. With a newer water heater, residential and commercial property owners are able to save on energy bills, as well as water bills. If you are in the market for a new water heater, please call All About Plumbing & Septic for water heater installation. A plumber in Mills River, Hendersonville, and Asheville, NC is able to inspect your property and determine what the right size you need for your specific water needs. Contact us and we will set up an appointment time that is convenient for you. For Water Filtration Services, You Can Count On Our Plumbers! While our water goes through a municipal water plant in order to remove contaminants and pollutants, our water can still be full of contaminants, toxins, and other impurities. This is especially true if you use a well water system to access your water. If you want to ensure that your water is clean, as well as tastes and smells good, you can rely on us for water filtration services. Our plumbing technicians are able to install point-of-use and point-of-entry water filtration systems like whole house water filtration systems that remove minerals, metals, pathogens, and bacteria. 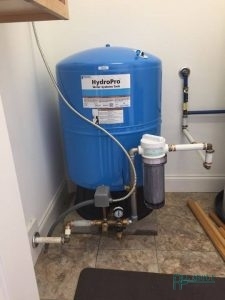 If you want a water softener to remove hard water or you are interested in a well water system or mercury filter for your home or business, call us at 828-778-2425. 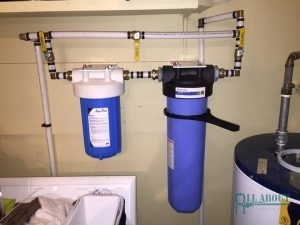 A plumber in Mills River, Hendersonville, and Asheville, NC is able to find the right water filtration system that will leave you with safe and clean water to drink, clean, wash, and bathe with. For Repairs or Installations for Well Water Pumps and Tanks, Contact Us! Do you live or work on a property that doesn’t have access to city water? If so, you probably have a well that you are able to get water from. Because a well is the only system that you can get water from, it is so important that it’s in good condition. At All About Plumbing & Septic, we are able to offer well water service that includes well water tank repair and installation, as well as well water pump repair and installation. 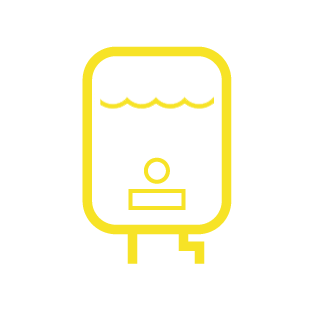 If your pump or tank aren’t working as they should, you will have a difficult time getting access to the water you need to shower, clean, wash clothes and dishes, and cook. Below are some signs that you need to get repairs for your pump or tank. There are strange noises coming from the tank. The pump will turn off and on by itself. The pump isn’t able to pressurize the tank because it isn’t on long enough. There are water leaks at the base of the tank. There is corrosion on the tank. If you have experienced any of these or other odd things happening to your pump or tank, contact our office at 828-778-2425 to speak with a plumber in Mills River, Hendersonville, and Asheville, NC. We can inspect your well and determine what the issue is. You can depend on us for repairs, installation, and even water treatment for your home or business’s well. 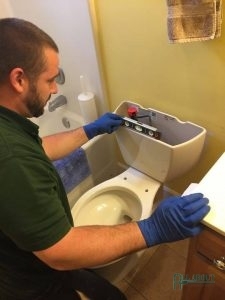 Updated on February 21, 2019 at 10:20 am by All About Plumbing. 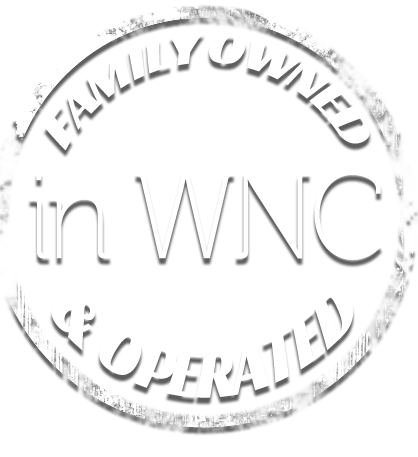 Need Emergency Plumbing & Septic Services in Mills River, Hendersonville, and Asheville, NC?